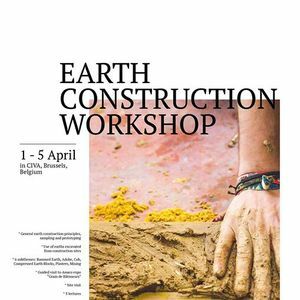 Workshop on earth construction with local earths, with international tutors, 5 lectures, 6 themes, 1 exhibition, 1 site visit. 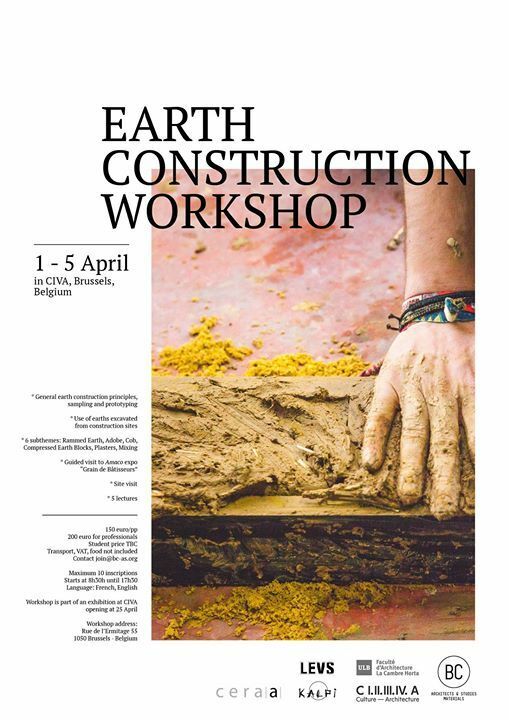 Learn how to construct with earth in 5 intense days. Workshop is organized in collaboration with the Architecture Faculty of ULB LaCambre, and CIVA. 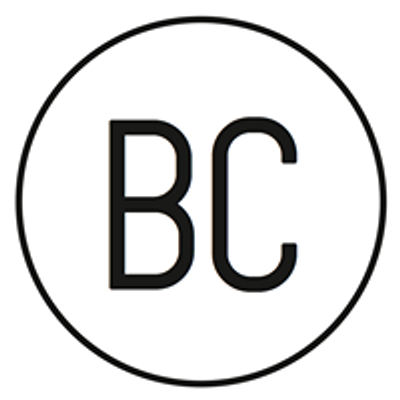 The resulting prototypes will be part of the exhibition "The act of building" by BC architects & studies, BC materials at CIVA opening at 25th of April.